FANBOY PLANET.com . : All New All Different Marvel All 1972 :. 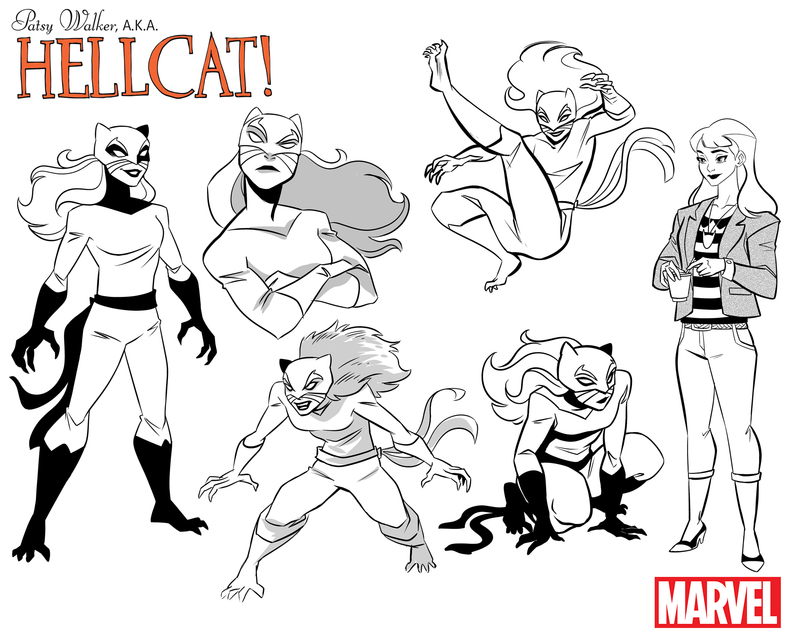 All-New All-Different Marvel All 1972? 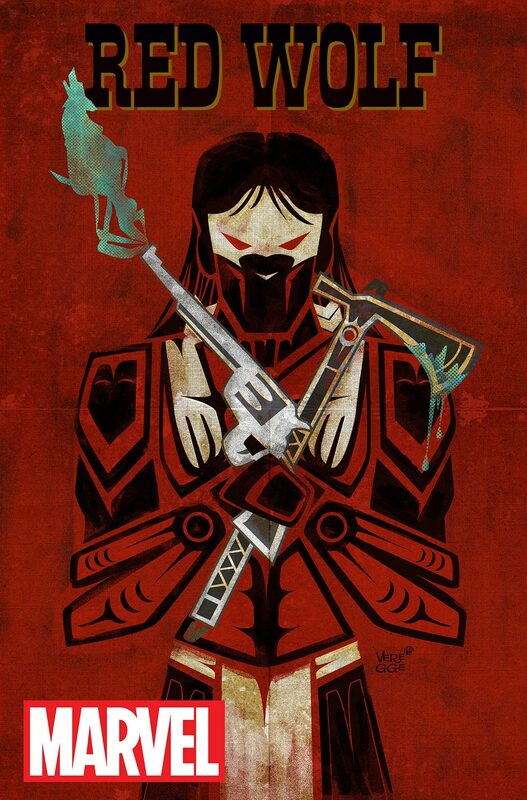 Native American artist Jeffrey Veregge will be providing covers for the upcoming Red Wolf, with a variant for the first issue by Dale Keown. 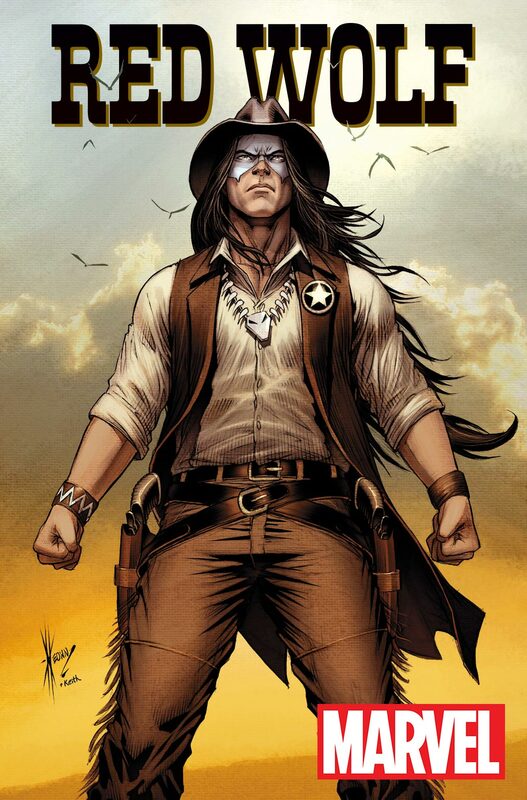 Veregge will consult on the interiors with writer Nathan Edmondson, who teams with artist Dalibor Talajic to continue the adventures of this native American superhero in the American Southwest. From their press release, it seems in characterization, he will hew very closely to the character recently seen in Marvel 1872. 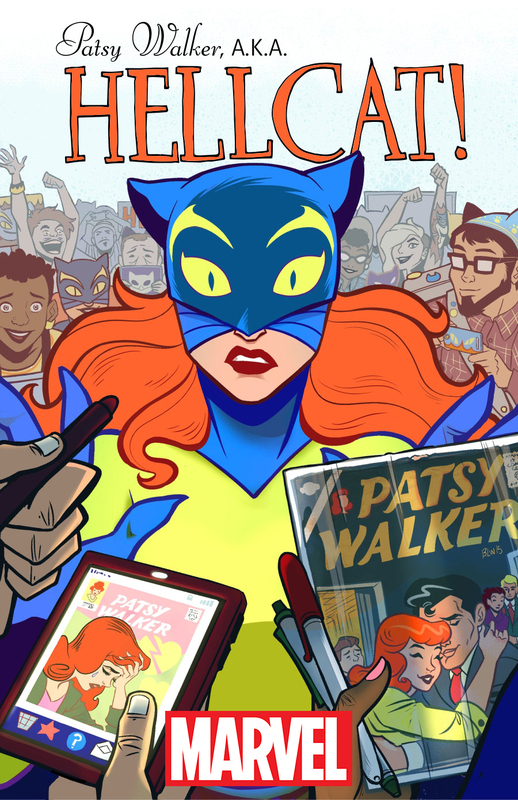 Marvel also announced Patsy Walker, aka Hellcat, chronicled by Kate Leth and Brittney Williams, from Adventure Time and Lumberjanes, respectively. 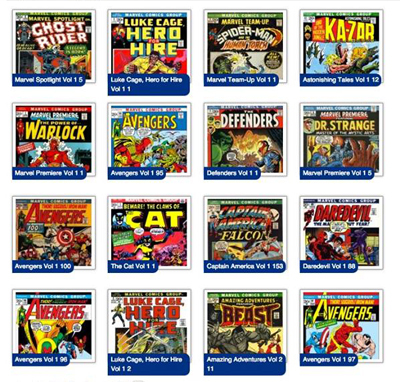 And that got Ric Bretschneider thinking -- as he was buying a lot more Marvel comics in 1972 than I was -- that Marvel's output then was extremely diverse. Not in the way we mean now -- Marvel in 1972 was pretty much being created by a group of young white men and Stan Lee -- but in the variety of titles being offered. Yes, Marvel was trying to shoehorn lots of concepts into the form of "superhero," but still -- there were stabs at politics, Ghost Rider was really battling Satan (until somebody got nervous), and it wasn't just straightforward do-gooding. It was the beginning of the so-called Bronze Age -- in the Mighty Marvel Manner. Is the post-Secret Wars Marvel beginning yet another? In addition to Ghost Rider and Beware the Claws of the Cat, you could pick up The Power of Warlock, Ka-Zar, and of course titles you know like The Avengers -- and Marvel's horror books were just about to break out -- Werewolf By Night, Tomb of Dracula and if you've read Marvel Comics: The Untold Story by Sean Howe, you know Stan even wanted a book called The Mark of Satan. If you'd picked up the books shown here, it would have set you back $3.20, which is about $17.13 in 2015 money. But in reality, comics became a much more expensive hobby than it was in 1972. To invest in 16 books in the Marvel Universe alone, it would be closer to $64 if you don't go to a shop that gives you a discount. All that means is that yes, comics are offering a lot of great ways to escape. We're looking forward to the All New All Different Marvel, but at these prices, Marvel (and DC and Dark Horse and Image and IDW and Oni and Whoever...) need to be all good.